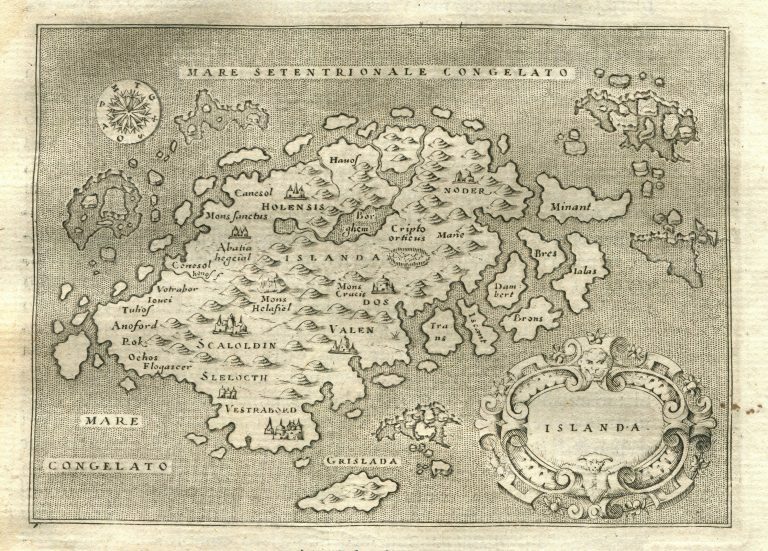 Iceland is flipped version of that of Carta Marina on this map. It was published in a new island description, L’Isole più famose del mondo, by Tommaso Porcacchi in Venice in 1572. 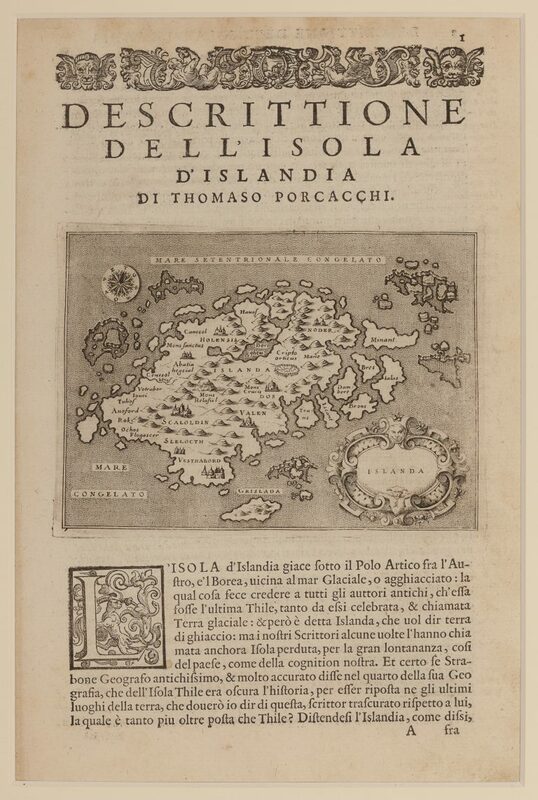 Others would continue to publish L’isole all the way to 1713, a long time after any cartographer should have known that this map did not actually resemble Iceland. The drift ice shown on the Carta marina has become islands, like on the Zeno map. The map is quite nice, even if it is small. There are many mountains and rivers and lakes, as well as buildings representing towns. There is a big island South of the country, Grislada. In the lower left corner, it says Mare Congelato or the frozen sea. The sea around Iceland is mostly solid, with a few breaks in it. 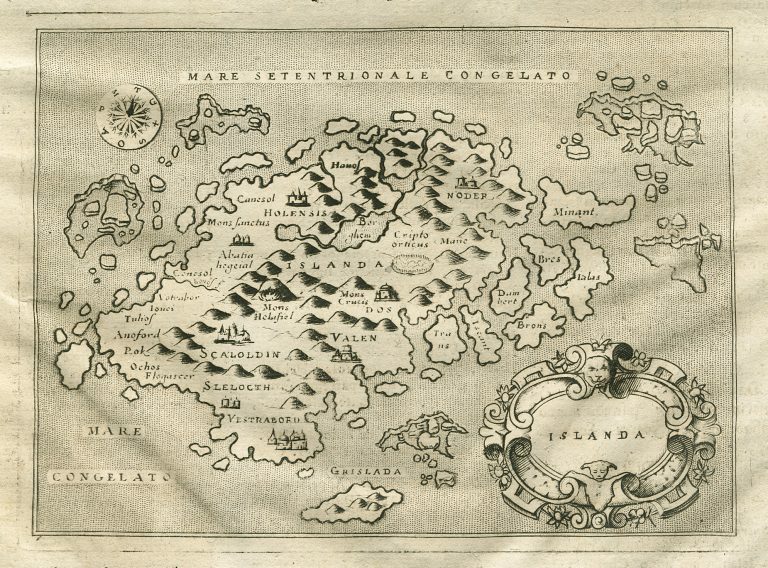 There are no monsters here, but a lot of phantom islands. 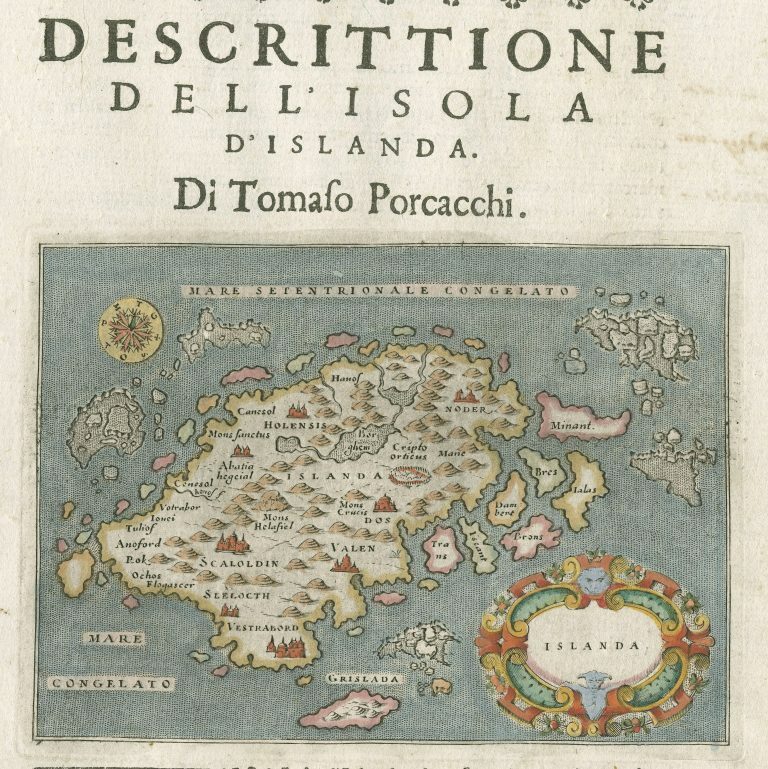 The same map was published by Pietro Antonio Brigonci in a composite atlas in 1686. The plates of Porro had been reworked, one can particularly see the mountains are now sharper than on the previous map. 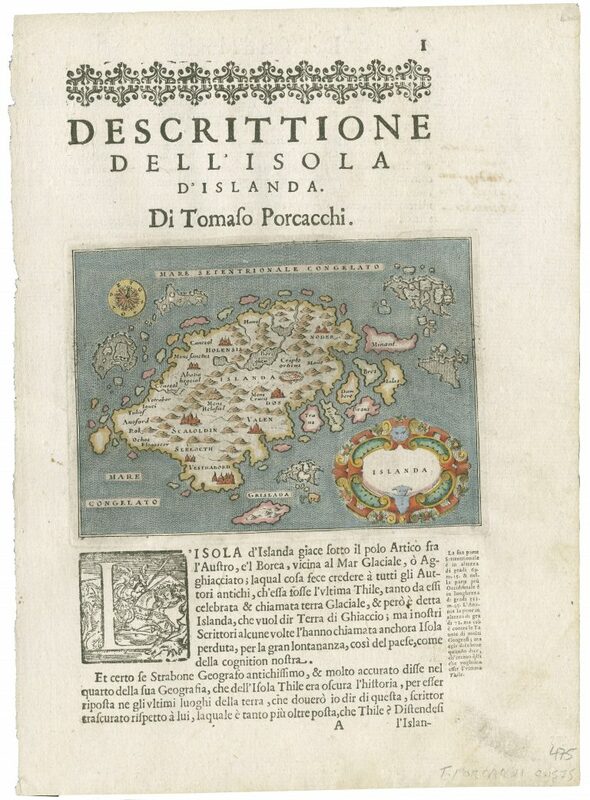 They were then used (yet) again by Raphael Savonarola, in Universus terrarum orbis […], 1713.